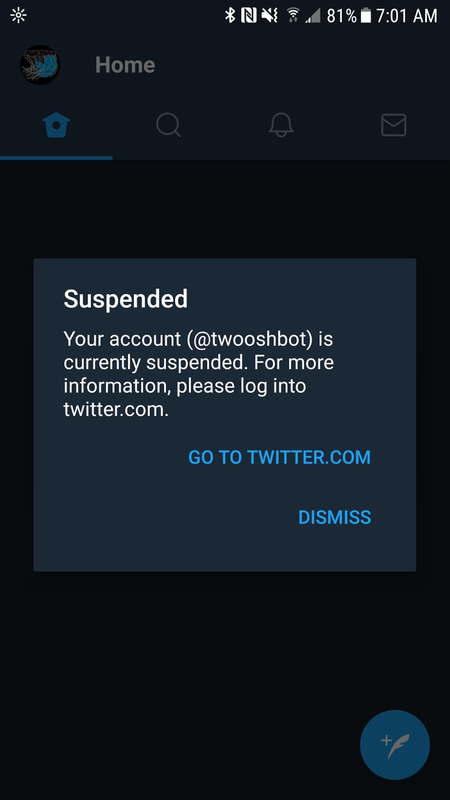 burndive: apps: twooshbot is dead. 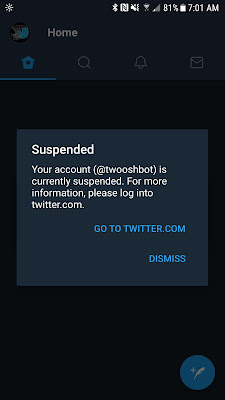 Long live twoosh_bot! 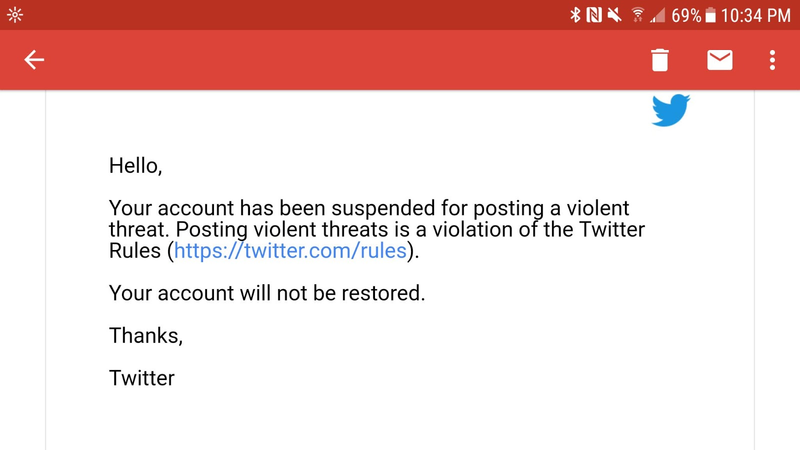 My twooshbot account got permanently suspended from Twitter for "violent threats". Yes, seriously. So, I created a new, kinder, gentler Twitter account. Sometimes, twooshbot would respond with movie quotes. Some of those quotes were of the Emperor Palpatine trying to get Luke to come to the Dark Side of the Force. In The Empire Strikes Back, Luke doesn't respond in violence. Instead, he realizes what's happening, lets go of his anger, and refuses to fight except to defend himself (and his sister). That's how I wanted these responses to be perceived. A gentle, humorous reminder to keep it cool. Of course, if you have no idea what this twooshbot thing is, and some random bot account jumps into your heated conversation telling someone to give in to their anger and strike you down with it, you report it to Twitter, and they respond with the perma-banhammer. 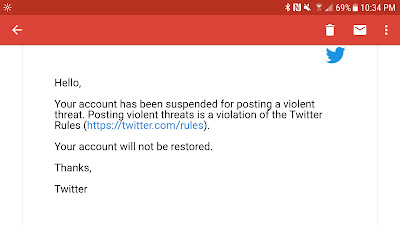 I tried appealing to Twitter Support, hoping that if I removed the offending content, they would restore the account, but they refused to budge. They even froze the phone number I used to activate the twooshbot account, so I had to use a different phone number to create an app to connect to the new account. These were a very small fraction of the hundreds of responses that twooshbot would post. So, that's how I got banned. It sucked. I'll try not to do that again.